These worlds are quoted from the last book by Mr. Sakip Sabanci, the beloved Turkish businessman. Sakip Aga, in his book “Health Before Everything”, describes Ms. Guler Sabanci as the psychologist of the family. This psychologist of the family, Ms. Guler Sabanci, has a very different character in the business world as one of its most powerful women. In 2004, Ms. Sabanci was ranked 20th among the 50 Most Powerful Women in a study of countries outside the US by Fortune Magazine, and 7th in the list of Most Powerful Women created by the Financial Times. We spoke with the Sabanci Holding’s President of the Board of Directors, Ms. Sabanci, at Sabanci Holding’s headquarters in Levent. Ms. Guler Sabanci was elected president of the Board of Directors in May 2004, after the death of Mr. Sakip Sabanci. She announced the group’s global targets, from the US to China to Turk of America. Ms. Sabanci declared that they are preparing for the future with a balanced growth model. In meetings called SA15+, approximately 200 top managers of the group are discussing plans beyond 2015. Sabanci Holding recently increased its shares from 50% to 100% in DuPont Sabanci, an international company providing industrial nylon fiber and cord fabric to tire companies in seven countries, including the US, Brazil, and Argentina. For the future the Group is planning to establish a strong brand image in the textile sector in the US, to enter the New York stock exchange, and to become a global company in the polyester sector. Sabanci Group entered the US market back in 1980. Didn’t you discover the USA a little late? We were late, that’s true, but our efforts are improving. It has been growing in the last 4-5 years. In terms of production we only have a five year history in the US. After establishing DuSa in 2000, we made more investments. I can say that we improved a lot. You agree that you’ve been late. But to not be left behind, what is Sabanci Holding going to do in the next decade? What are your plans for the US and around the world? Within the holding we have an organization called “SA 15+”. This is a development which enables us to see beyond 2015. We do research conferences. From 170 to 200 top-level managers attend these meetings and prepare the Holding for 2015 and beyond. Which sectors are favored in these plans? Are there any sectors in which you wish to expand your activities? As Sabanci Holding, we have 6 main sectors: Finance, automotive, cement, food and retail, textile and chemical. If you look at these sectors some are only national, some are regional, some have the potential to become global. This is how we are bringing them together. We had 50% of the shares of DuSa, which provides industrial nylon fiber and cord fabric to tire companies, and in the last couple of months we acquired all of the shares. DuSa is a global company. We have some lines of businesses which have the potential to become global like DuSa. Polyester is one of them. We are working on a regional basis, but we will develop it to a global business. Another sector is the textile sector, in which we are active in North America. We entering the high value market. We are trying to establish a brand image. We are confident that within five years we will have a strong presence in the market. Recently you acquired Deren Cay. The added value in the food sector is not as high as in the technology sectors. Why did you prefer the food sector? Yes, the added value of food is low, but it is important to be a brand. In the business world there are two values. One is technology, the other one is brand. In Sabanci Holding we prefer a balanced growth. On one side we have businesses requiring technological raw materials, on the other side we have businesses directly addressing consumers. For example, Akbank is the best in Turkey. While growing in the finance sector, we also would like to grow in other businesses. We don’t neglect one side, while growing on the other. You don’t have any company registered in Nasdaq or the New York Stock Exchange. Do you have any plans for the future? We are currently not present, but we have the desire and are working on this. We would like to pull together businesses with high potential and enter in the next few years. There is the reality of China, who wants to be a superpower. What are your plans relating to China? Do you have any worries? As everybody else, we have some reservations, but we consider some businesses as opportunities. For example, DuSa’s first target in the tire sector is to enter China. We would like to position ourselves and invest as soon as possible. Currently we are exporting to China, we have customers. Therefore we are planning to invest Not in every sector but in this sector, we consider China as an opportunity. How do you interpret the recent developments between the US and Turkey? Is there a tension present? There are no tensions between the US and Turkey. We have a longstanding alliance between the two countries. We had differences regarding Iraq. In the first Iraq war, we also had some difficulties. But the US has difficulties not only with us but with the whole world. I don’t consider small ups and downs as important. The argument that Turkey is anti-American is also not true. The Bush government has increased anti-American sentiment throughout the world. Also the US has to be more considerate, and there an effort from that side is also needed. Actually there is a big similarity between the US and Turkey in terms of economical and consumption trends, and work ethics. The model of the US is more suited to Turkey than the model of Europe. In market economy, liberal trade, and investments, Turkey takes the US as an example. For a Turkish brand to become known, Turkey also has to be known. What needs to be done to create a brand name for Turkey, as a country? We are making an attempt in this direction. To create a brand under the name Turquality. Turkey has been late to address this subject. But we shouldn’t fear being late. In the 1970s Japanese products were called cheap. Because of the quality of their merchandise, the Japanese got rid of the reputation of their goods being cheap, and their products became known as quality items. We shouldn’t think “we are late.” Sometimes starting late has its advantages. Because you start with the latest technology. Sakip Sabanci with his niece, Guler. From a woman’s point of view, what are the difficulties of managing such a holding? I don’t believe in gender difference in the business world. And I always worked that way. The business world has to be objective. It is important to achieve targets. Gender shouldn’t be a different value. I always treated people that way, and have been treated the same. I haven’t encountered any special difficulty being a woman. Turkey has made great advancements. In the US, there is a new debate about the success of women in businesses after HP’s CEO Carly Fiorina was deposed. A professor at Harvard made a statement disdaining woman in the business world. What is your comment? I don’t accept male-female differentiation in the business world. I believe that it is erroneous to accept this. In this matter Turkey is much more advanced than Europe and closer to the US. Professional women have no problems in Turkish businesses. Of course it is not same everywhere, in the East for example, but life there is also hard for men, not only for woman. It must be a difficult task to fill the position of Mr. Sakip Sabanci, who had a very colorful personality? Did you have any concerns about not being able to fill his shoes? How did you feel? Mr. Sabanci was a great person and he had a lot of different qualities at the same time. And he was successful in all of them. I only took over the presidency of the board of directors. I cannot fill the place he had in the society, in the hearts of people, nor can I assume his roles. I can never take on all his responsibilities. I worked with Mr. Sabanci for 27 years. I understood how great a teacher he was, after starting my job. I realized the importance of many things afterwards. Do you have any messages for US investors interested in Turkey? Especially in Turkey, there is a hard working, honest western society, which, in terms of management style, could work with Americans in harmony. US investors can find open minded, objective people and companies to work with. Turkey is not just a market, but a place where they can find good people and partners. And I believe this is a great strength. As the president of one of the biggest holdings in Turkey, what are your suggestions to the brains living abroad? Should they return? Above all Turkish academicians in the US can return. Very successful universities have been founded also in Turkey. As for young people, they also can return to Turkey. Particularly, those who have been successful abroad have a very good potential to make it in Turkey. Haci Omer Sabanci Holding A.S. is one of the largest industry and finance groups in Turkey. Sabanci Group, which consists of 66 companies, also has shares in 13 companies traded on the Istanbul Stock Exchange. Currently, Sabanci companies are doing business in 11 foreign countries. Some of Sabanci’s best-known international partners are Bridgestone, DuPont, Toyota, Kraft Foods International, Bekaert, Heidelberg Cement, IBM, BNP, Dresdner Bank, Carrefour, Dia, Hilton International, Mitsubishi Motor Co., International Paper and Philip Morris. In 2003 Sabanci Group had a consolidated sales revenue of US$7.3 billion and achieved a net profit of US$583 million. With 80.9% of the shares the Sabanci family is the biggest shareholder in Sabanci Holding. In 2004 the Sabanci Group, whose motto is “Our roots are in this country, our strength all over the world,” ranked 89th in a list of the 250 biggest family-owned companies in the world published in Family Business magazine. Also from Turkey, Dogus Group ranked 96th and Koc Group ranked 104th on the same list, on which WalMart was named the largest. 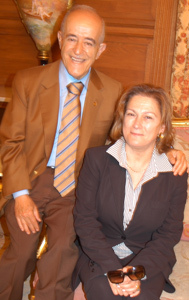 Ms. Guler Sabanci is the daughter of the late Ihsan Sabancı. She attended TED Ankara High School. After graduating from Bosphorus University, she started to work for LASSA Tire Manufacturing and Trading Company in 1978. Later she became the General Manager of KORDSA Tire Cord Manufacturing and Trading Company and ran this company for 14 years. During this period she took part in creating and starting up a number of joint ventures with foreign partners. She was the President of Tire and Reinforcement Materials Group. Presently, she is also the head of the Human Resources Committee of Sabanci Holding. Before she became the Chairperson of Sabanci Holding, Ms. Guler Sabanci, who is also active in the business world, was a member of the TUSIAD board of directors. She also is active in the educational and academic worlds. 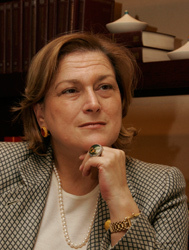 She is the founder and Chairperson of the Board of Trustees of Sabanci University. In addition to her other responsibilities, she is also a member of the Istanbul Foundation for Culture and Arts. She also runs a vineyard to produce her own brand of wine. Condoleezza Rice (Secretary of State): She was appointed Secretary of State after serving as National Security Advisor. Ms. Rice is the strongest woman in US. Karen Hughes (Counselor to the President): She is defined as the strongest woman in the White House. She has been working with President Bush since he was Governor of Texas and is described as the architect of Bush’s communication strategy. Nancy Pelosi (Member of Congress): Democratic Leader of the House of Representatives, Nancy Pelosi is the first woman in American history to lead a major party in the U.S. Congress. Sandra Day O'Connor (Supreme Court justice): As the first woman on the Supreme Court, Sandra Day O'Connor has acted as a strong conservative member since 1981. Hillary Rodham Clinton (Senator): She is the first former First Lady to be elected to the United States Senate and is a strong democratic candidate for the 2008 presidential elections. Margaret "Meg" Whitman (eBay, President and CEO): After being successful in companies such as Procter & Gamble, Walt Disney Company and Hasbro, she has been in charge of eBay since 1998. Ruth Bader Ginsburg (Supreme Court justice): As a young woman, she had trouble finding jobs although she graduated from Columbia Law School. Ginsburg fought for gender equality and became the second female Supreme Court justice in 1993. Anne Sweeney (Disney-ABC Television Group President): She started her career by increasing the number of Disney subscribers, which was in financial difficulties at that time. In 2004 she became the President of the group. Oprah Winfrey (Media Manager): She started her own talk show 1986 and created a media empire. According to Forbes, she has a net worth of over US$1 billion. Martha Stewart (Media Manager): Of Polish decent, she started from her experiences in cooking, gardening, and house design and created her own brand. Martha Stewart made a name for herself in television and media with Omnimadia.